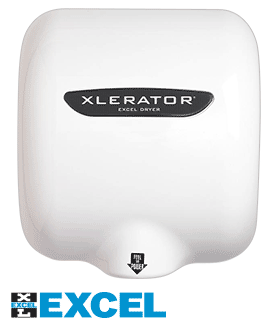 Xlerator Optional recess kit includes a wall box (22 ga) and dryer mounting plate (16 ga) made from 18-8 Type 304 brushed stainless steel. A stainless steel tether is connected to the dryer mounting plate to hold the dryer in position when servicing. Order above. 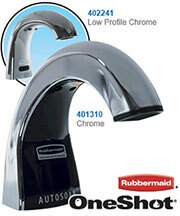 One Xlerator hand dryer for every two washbasins is sufficient for most applications. If your commercial restroom traffic is unusually heavy, we suggest one Xlerator hand dryer per washbasin in small installations and two for every three washbasins in larger commercial restrooms. 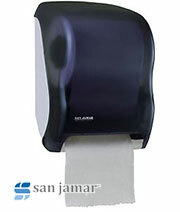 When a 54" washfountain is used, we suggest four to five Xlerator hand dryers. 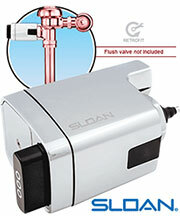 The Xlerator hand dryer shall be guaranteed to be free from defects for a period of five (5) years. Warranty shall include labor performed at factory as well as the repair or exchange of defective parts, at manufacturer's option.